The struggle to eat more fruit and veg is one that I’m sure we’re all familiar with. Whether it’s being told to ‘eat your greens’ as a child or have your ‘five-a-day’ as an adult it seems that increasing consumption is a never-ending battle. However, with obesity at an all-time high it’s clear that there needs to be new approaches towards promoting fruit and veg consumption and that something more engaging is needed. 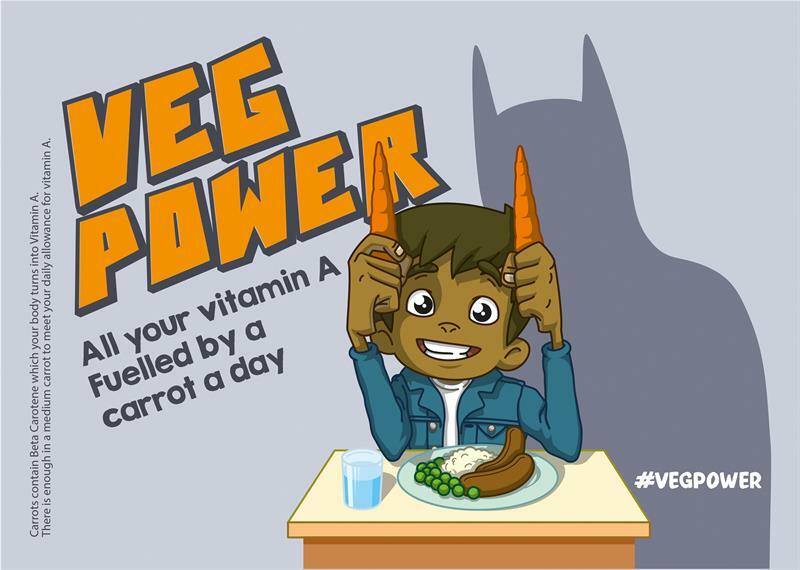 The NFU has been supporting #VegPower, an initiative aimed to increase children’s intake of vegetables. The #VegPower campaign was officially launched at the House of Lords yesterday evening [Wednesday 23 January] and the initiative has had a huge boost from ITV offering £2 million worth of prime advertising space. At the launch we were given a sneak peak of the advert, which is due to be first aired during Coronation Street this Friday [25 January]. I was also rubbing shoulders with celebrities who are backing the campaign including TV doctor, and Strictly participant, Dr Ranj Singh, singer and presenter Stacey Soloman, and A&E doctor Dr Alex George, of Love Island fame. In particular, Dr Singh was keen to raise the hot topic of childhood obesity and he referenced government statistics that one in five children are overweight or obese when they begin school, compared to one in three by the time they leave primary school, demonstrating that this is the key age to target. The advert has been put together by adam&eveDDB, best known for being behind the John Lewis adverts, and as a result the quality of it is as good as you would expect. The advert has a very different take on encouraging the consumption of veg but critically the advert gives children something to engage with which surely must be the key to success. I’m bound by secrecy, so I can’t divulge the exact content just yet, but I’d certainly encourage you to keep an eye out for it tomorrow evening during the ad break of Coronation Street. Only time will tell how successful the advert and campaign will be but I am hopeful that this can deliver a positive step forward for increasing veg consumption.